We are currently working with six Elders to devise performances of Bed for the (B)old Festival this May at London’s Southbank Centre. 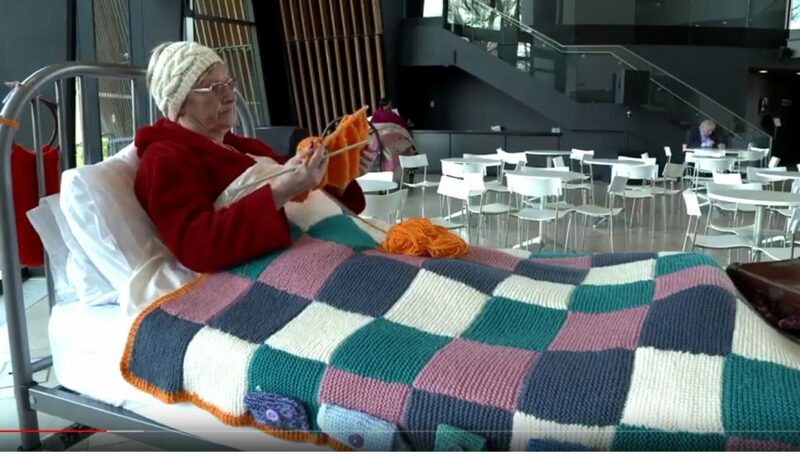 Bed was devised by older members of Entelechy Arts Theatre Group who are established in their practice and recognised nationally or internationally for their work. They wanted to make a statement about the invisibility they felt when going about their lives in public places. “Sometimes people look right through as if we aren’t there”. They knew of many people experiencing loneliness and isolation. There are many stories that go unheard, many lives that are unrecognised. They wanted to redress the balance. They made Bed. There will be four beds placed around the outside spaces of Festival Hall. You can experience and join in with our Bed performances on Saturday 19 and Sunday 20 May between 12.30 – 2.30pm and 3.30pm – 5.30pm.